The eye-catching design of Tre Mercatis Roma Concealed Thermostatic Shower Valve will create an instant impression about its efficiency. 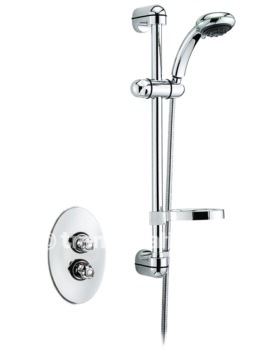 The shower valve is crafted for safety and comes with a pre-set maximum temperature and an automatic shutdown system in the event of water failure to prevent accidental scalding. It is guaranteed against manufacturing defects for ten years, operates effectively with minimum 0.1 bar water pressure and is suitable for all plumbing systems. 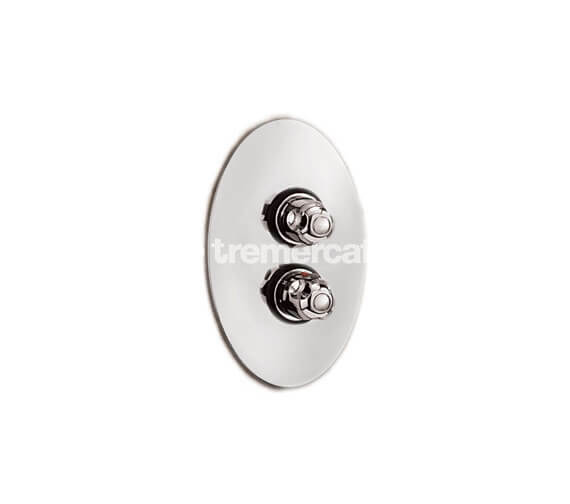 Hello, please can you tell me if the Tre Mercati Roma concealed shower valve can be fitted horizontally, Thank you Angela Bailey. 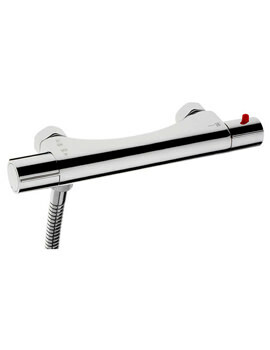 The Roma Concealed shower cannot be set horizontally as the dials cannot be changed for you to set that way. 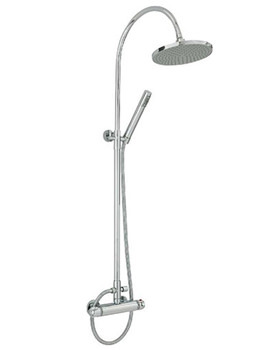 The model that you describe would be classed as a two way diversion shower. Although the model doesn’t sound like it is one of Tre mercati. We might be able to advise on probable causes and identification. 1) Firstly, if you are no longer getting any hot / cold water out then it would sound like your feeds need cleaning out – depending on the age of the unit there would normally be filters for the hot and cold inlets, this can be a mesh filter that needs cleaning, or a plastic one way valve or both. 2) If you are only getting luke warm water then your thermostat either needs cleaning (if you live in a hard water area) – this is done by putting it in a solution of warm water and vinegar for an hour. 3) If it is leaking then it would normally be the on/off cartridge – if yours turns quarter turn then it would be a ceramic cartridge that needs replacing otherwise it would be a compression valve. 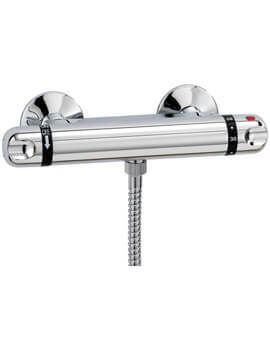 If you are having issues identifying the manufacturer We would suggest taking a photo of the valve and showing it to a plumbers merchant, they will be use to selling different brands of showers so might be able to ID the manufacturer for you and point you in the correct location for trying to get replacement parts.